My tour of the lakeshore estates that graced the shores of Geneva Lake in Wisconsin back in the late 19th Century and early 20th Century is now coming to the eastern shore of the lake and nearing the town of Lake Geneva. Arriving in Button’s Bay, we come to Big Foot Beach, the only public beach on the lake that does not require an admittance fee. This area of the shoreline was not considered prime real estate because of the boggy terrain. It remained empty long after many beautiful homes and estates had been erected on the shoreline until Celia Whipple Wallace came on the scene. Being a prominent summer resident for a number of years at the fashionable Whiting House Hotel that sat directly across from the lake, Mrs. Wallace was a well-known figure to the townspeople as well as the shore crowd. Known for the great wealth her late husband had left her and her fondness for expensive jewelry, which she wore all the time, she became known as the “Diamond Queen.” She was also known for her soft spot when hearing of the misfortunes of others, which led to some unwise decisions when it came to managing her large fortune. This impulsivity would eventually become her downfall. After years of summer hotel living, Celia decided to purchase shore property for a permanent summer home and acquired the land no one else wanted at a likely much lower price than other shoreline property. 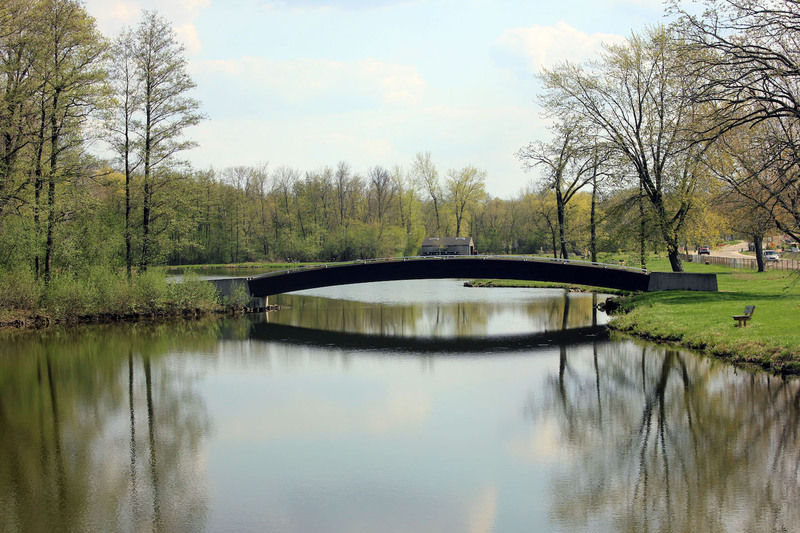 She commissioned a well-known architect to design a mansion for the land, but because of the less-than-suitable soil composition, he refused. 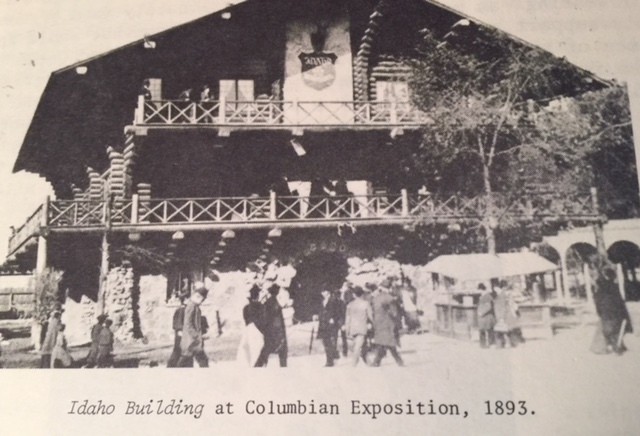 In 1893, when the popular Columbian Exposition in Chicago came to a close, some of the new Geneva Lake residents snatched up the temporary structures that had been used for the exhibits, having them taken apart piece-by-piece and rebuilt on their estates. The large log three-story building known as the Idaho Building caught Celia’s eye and after purchasing it, she had it dismantled and shipped to the vacant land she'd purchased. 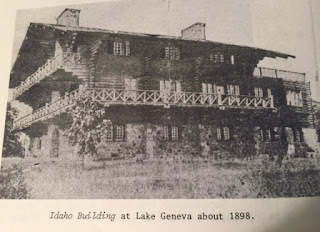 By the time the Idaho Building was rebuilt in 1896, it never was used as a retreat for orphaned boys, as Celia first intended. In fact, she never lived in it and continued to spend her summers in town at the Garrison House Hotel since the Whiting had recently been destroyed by fire. No one purchased the building, its one interested party who wanted to use it to store ice during the winter months, being turned away when vexed lakeshore owners objected to such a thing marring their views. 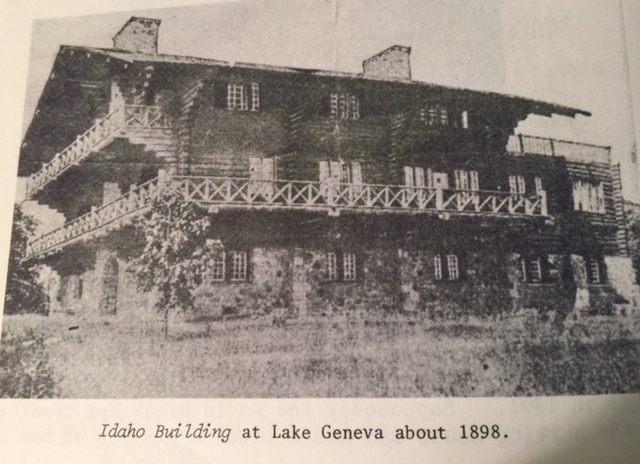 The rumors being whispered around town that the building was haunted, probably detracted from its appeal to other purchasers, and in 1911, it was dismantled, with some of the wood used to build a new municipal pier in Lake Geneva. 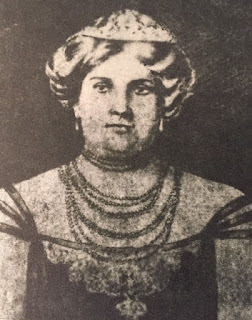 As for Celia Whipple Wallace, she ended up living in Connecticut, and having burned through her entire fortune, she died a pauper. Lake Geneva, and you'll soon descend a hill to where the road runs very close to the lake. The state park and lagoon are on the left and Big Foot Beach is on the right. If you park and walk over to the lagoon, look off a short distance to the east and imagine the Idaho Building sitting there. Who knows, you might even spot a ghost or two. Lake Geneva Regional News, August 29, 2016; Welcome Home: From Diamond Queen to Pauper with a Pearl by Jessica Franzene. Lake Geneva, Newport of the West; 1870-1920; Ann Wolfmeyer and Mary Burns Gage; pp 177-179; information and black & white photos. 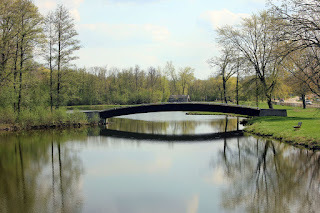 Picture of lagoon & bridge, Big Foot Beach State Park; Courtesy of Wikimedia Commons. Pam has written most of her life, beginning with her first diary at age eight. Most of her novels are set in or near her hometown of Lake Geneva, Wisconsin. 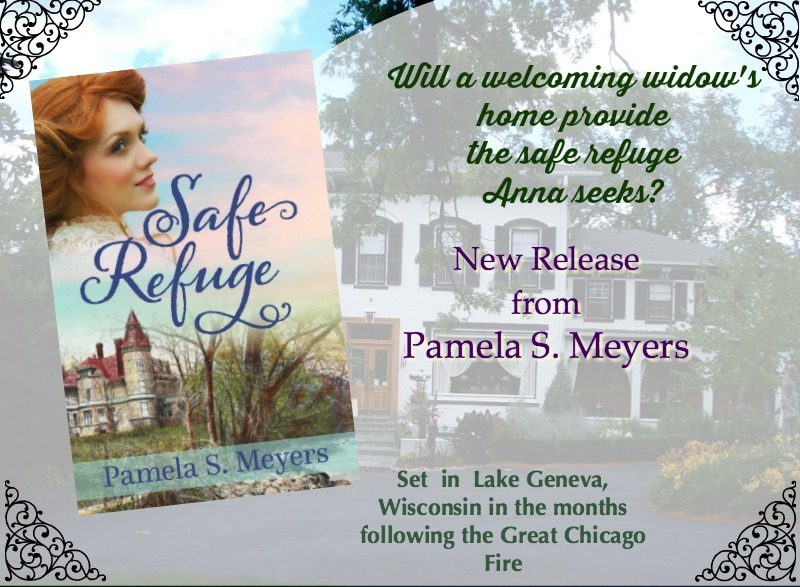 They include Surprised by Love in Lake Geneva, Wisconsin, and her newest release, Safe Refuge, the first of three novels in her Newport of the West series. Her novel, Second Chance Love, released last year, and her novella, If These Walls Could Talk, was published in the Coming Home collection. 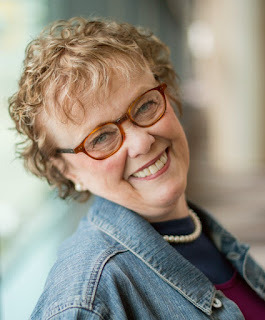 Future novels include Whatever is True (March 2019) and Shelter Bay and Tranquility Point, both part of her current series. Interesting! Thanks for the information! Interesting post and sounds like a nice place to visit. Thank you for the captivating post about the Idaho Building! Too bad Celia Whipple Wallace didn't do anything more with the building once she had it moved and rebuilt it on Geneva Lake. I wonder why?....Hmmmm. And how very sad that with all the wealth she had, that she died a pauper. This definitely sounds like a story in the making! What do you think, Pam? !